Nothing is forever, and that goes doubly true for wooden fences. At the top end a good wooden fence will last for a decade, but eventually all wood rots and degrades. If you have a wooden fence in your yard, you know that you need to regularly maintain it with stain and paint. However, you should also make sure to inspect it regularly to see if it’s experiencing any of these issues. If it is, it may be time to replace the fence with a new one, such as a quality vinyl fence. Most wooden fences are held together with a combination of nails, wood screws, and firm metal fasteners designed to keep the wooden panels and boards in place. However, over time these fasteners can loosen and even fall out due to wind, ice, and other natural forces. When inspecting your fence, check to see that nails and screws are regularly placed and that there aren’t holes where nails used to be, or discolorations to indicate a missing fastener. Along with missing parts, nails and screws can become loose over time. This is due to several factors. First, the natural action of wood swelling and contracting with heat and moisture can cause nails and screws to lose their grip. Second, rot and decay can make the wood split or rot out around a fastening, leaving it with nothing to hold. Third, rust can cause the nails and screws themselves to break apart over time, letting the wood break free. 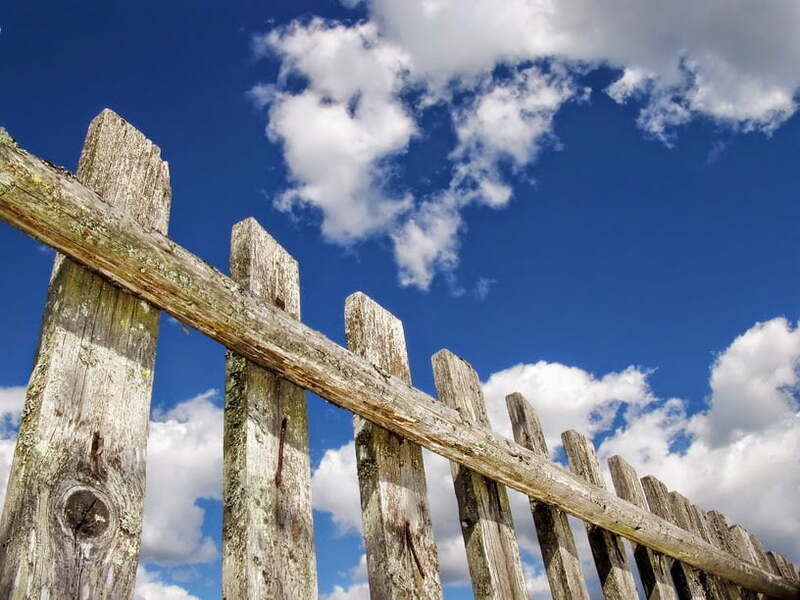 All of these issues are indicative of a fence in need of repairs or replacement. Northern Texas is known for hot, dry summers, but there are still plenty of opportunities for rot to set in. The wet, rainy spring and fall seasons in the Dallas area give moisture plenty of time to seep into your fence. Winter brings snow and ice that can work its way into the pores in the wood, rotting it from the inside out. In all of these cases, wood rot only needs time to cause irreparable damage to your wooden fence. Once wood starts rotting, there’s no saving it. Plus, sealants and moisture repellants only work for so long – you’ll need to reapply them regularly to have a chance of beating the rot. Cracking is common in older fences, especially in boards that have remained untreated for too long and have been damaged by moisture or high heat. In unprotected wood, moisture can seep into the pores, causing the wood to swell and change shape. Because parts of the wood are held in place by nails or screws, the board can’t extend laterally very much. Instead it bends and bows. Over time, this deforming motion can cause the board to crack or warp permanently. Cracked boards are obviously not good for a fence – they can cause splinters, can easily break in inclement weather, and are a much bigger security risk. In isolation, many of the issues above can be repaired by installing new parts or panels in the fence. However, if your fence is extensively damaged, it may be cheaper to tear the whole thing out and replace it with a new fence. Get quotes from a Dallas-area fencing company and determine how much it would cost to repair your fence versus replacing it outright. If the prices are similar, you may as well replace it. After all, a repaired fence may still need lots of maintenance after the repairs, whereas a new fence will likely last much longer. Of course, if you are planning on getting a new fence, there’s no reason to limit yourself to wood again. The above issues with a wooden fence will happen no matter what if given enough time. In contrast, a fence made from a material like vinyl will not decay over time or lose its structural integrity. Vinyl fences are known for lasting years longer than wooden fences, and they require virtually no maintenance over their entire lifespan. To learn more about vinyl fences and their many advantages, contact us today at Future Outdoors®. We’re the vinyl fence specialists in the Dallas-Forth Worth Area, and we’ll give you a free no-obligation quote for your vinyl fencing project. Call us today at (972) 576-1600 or follow us on Facebook and Google+ to learn more about our products!